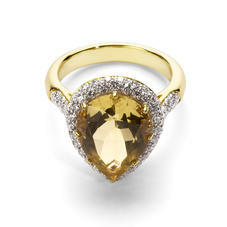 Exquisitely cut stones, shimmering diamonds and intricate detailing signify the unmistakable quality that runs throughout our Lemon Quartz Jewellery collection. 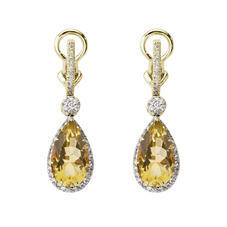 The distinctive lemon quartz infuses classic elegance with a hint of zesty colour to brighten your jewellery palette. From the unique composition of our Teardrop Pendant Necklace and matching earrings, to the sumptuous opulence of our Hollywood Teardrop Ring, each piece invokes classic glamour. Timeless jewels to be treasured for life. Every product in the Aspinal of London fine jewellery Lemon Quartz Collection will arrive beautifully encased in our signature jewellery presentation box and exquisitely gift wrapped and boxed in our signature gift presentation.